Despite coming into the urban area, the constituency still faces some of the basic problems like the lack of street lights. In the peak summer time, it is one of the major tourist attraction and hub. Countless of guest houses, hotels, restaurants and café are clustered here. Many times the complaints were registered for the eve teasing and misbehavior with some tourist and locals specially women because the place is dark and there are hardly any sufficient street lights. People of the whole constituency express the desperate need of street lights. Lack of drinking water is among the issue, especially in the winter season. The Leh main Tokpo restoration is one of the serious concerns that need to be looked upon as the people of Upper Leh depend on the agriculture on a large scale. The problem of irrigation was there for a long time and people are still living with very high hope. The damaged road of Horzey, Gangles has made the life of people very hard. The need of animal husbandry subcentre in Sankar is high needs. Lobzang Nyantak, Councillor: the prime issue and the matter of concern in Upper Leh are the main stream or the restoration and work on the Leh Tokpo. Drinking water is again a serious issue in the areas especially in the winter season. Because of the flood, people are facing a huge problem in irrigation. It is one of the issues that is faced by the people of whole upper Leh. A temporary restoration is the only thing that can be done or has been because the departments are facing insufficiency of funds. Horzey, Gangles and Tukcha are the places where the unmaintained road is a problem. The roads were well maintained but the recent work of laying the drainage pipes has changed the whole scenario. The problem is that the whole road has been dug out at the same time and left it uncovered with an excuse of no funds. Even though all this work are carried under the ₹ 215 crores, but there are lots of delay in this work. Lack of proper planning and systematic has created all the issues. Though people are facing huge problems but the need of the hour is the patience because the present work carried out will have resulted into better tomorrow. Till now 3 DPR’s for the Leh Tokpo has been submitted and lastly in the year 2000 a project of 99 crores has been made. The delay of work on Leh Tokpo has created a big situation for everyone. No big projects can be taken up in Upper Leh because lots of pendency is there which needs to be carried out as soon as possible. About the fencing of a cultivable land in Gompa, I have put a proposal to carry out because people can cultivate on that land without any fear of animals that damages their crop. Being the hub of tourist streets light is very important, which I have taken up many times and hopefully, it will be done at the earliest because there is a chance of some funds for it. For the Animal husbandry sub-centre in Sankar, I have already taken up the matter with DC, EC –Sheep Husbandry and in the council itself, about the restarting of the centre which was in Moti market before at least. This is because people face a huge problem in taking their livestock all the way to Skara. I will also look into establishing one centre in Upper Leh. In Horzey fields are still buried under which needs to be taken out, I have already taken up this matter with the soil conservation and in few days, the work will be carried out. The problem is other than CCDF no separate fund has been allotted to carry out the big projects. Being in the urban area it is one of the drawbacks. 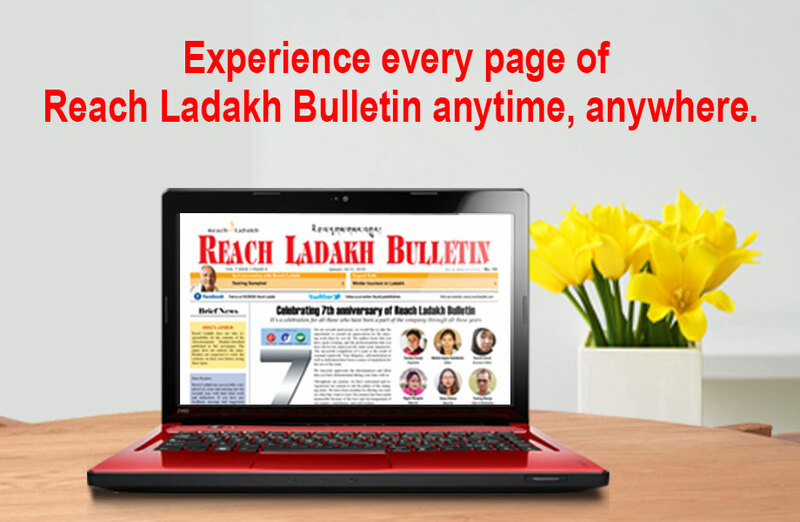 The problem of the fund can be solved if a separate election of municipality conducts in Leh. If this happens then the problem of funds can be solved. From this financial year, I am planning to talk to all the members and people about the allocation of CCDF because it is very important to use this funds in the completion of the important work such as headwork’s and all because the problem will arise and pertains if people also want support to do it collectively. Seems the Leh beautification project has more of criticizing than the people satisfaction in the beginning. The drainage and water pipeline project has created lots of havoc in the life of the common people. The roads which were well maintained have now turned down into rough hopeless roads which are of concern for the people residing here. Member of Tukcha and Horzey complained about the work which is being carried on because they dug out from everywhere and leaves it as it is. People complained about the unplanned and lack of systemic work that has been carried out. Once again the overall problem has one conclusion “Lack of funds”. Councilor Lobzang Nyantak plans to take up the project and demands of the people on a priority basis from the financial year onwards. The restoration of headwork was the demand which was there since from 2008 and till now nothing concrete has been done. The small important work was carried out by the villagers itself. Seems the problem of funds and the big developmental projects can be taken up if the municipality election is held in Leh. This is one among the demands of Upper Leh.